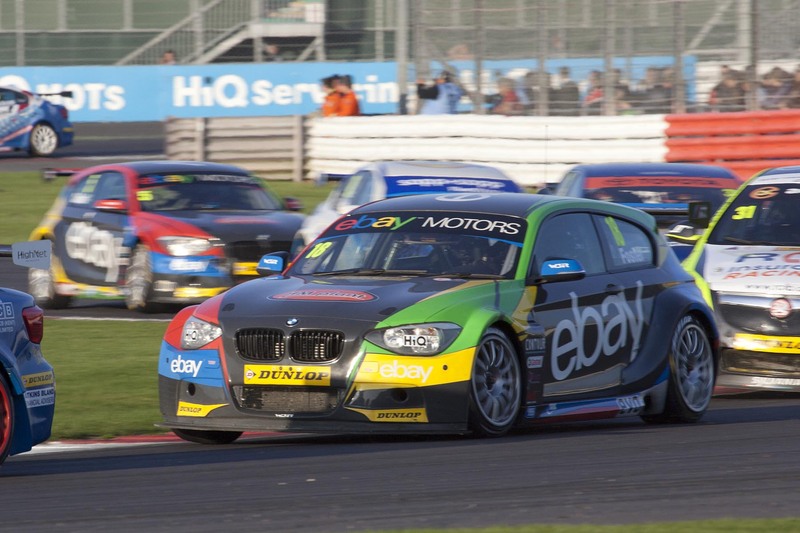 Raceday at Silverstone, last Sunday, for the 9th round of the Dunlop MSA British Touring Car Championship (BTCC) arrived with a sunny day in prospect and a bumper crowd. After an eventful qualifying practice session Rob Collard (WSR/EbayMotors) in his BMW 125i M Sport lined up in 8th place, Dan Welch (Welch Motorsport) in his Proton GEN2 with Sopp & Sopp) in 14th place and Nick Foster (WSR/Ebay Motors) in his BMW 125i M Sport in 22nd place. Race 1 started with the frantic rush to the 1st corner at Copse with Collard making up places to go around in 5th place. This soon became 4th place as he was running with the soft tyre option. 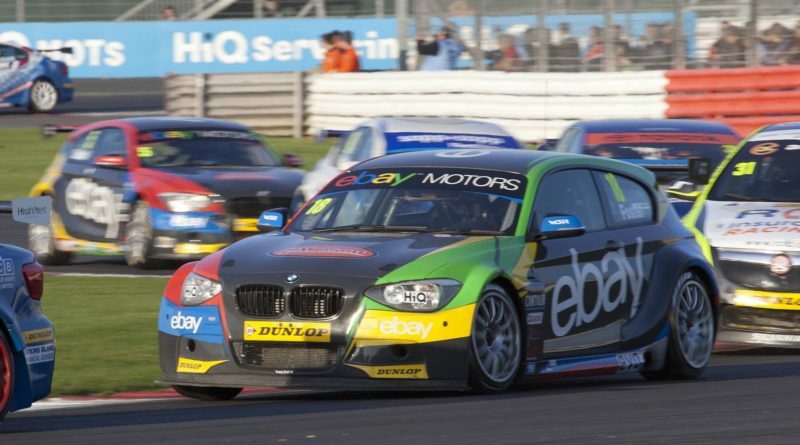 This put him directly behind his team mate Colin Turkington, who was still in championship contention. So Collard had to stay behind to protect the place where possible. Other than Matt Neal (Honda Yuasa) no one else got past so so he crossed the line in a strong 5th place. Afterwards he believed that if he had been able to overtake his team mate he might have been able to catch up the MG’ s of Plato and Tordoff further up the road. Welch was still having to cope with his Rockingham injuries (damaged pelvis) which made racing painful but after dropping a few places at the beginning started to re-take those positions and was in a battle with the Toyota of Wrathall and friend Rob Austin in his Audi and had to settle with a 13th place at the flag (having been as high as 10th place). Foster, unfortunately had a very short Race 1 and was an innocent victim of a clash between Bratt & Neate on lap one coming out of Woodcote and ended up in the gravel. This meant he was unablke to test out the fixes to the engine issue he had been suffering in practice and qualifying. Race 2 took place mid afternoon and after another strong start from Collard saw him battling at the front before on lap 2 a brake sensor failure put him out of the race. Welch had a better start to race 2 and was quickly in the battle for places and managed after a few laps to get up to 9th place, but due to a minor car imbalance, and driver pain, he wasn’t able to find that extra 10th second per lap to get onto the battle of 5 cars in front of him. However with all the issues that driver and team were having this was a great result. Foster this time managed to avoid any driver clashes and drove from the back of the grid to finish in 13th place at the flag. All was now to play for in the final race of the weekend with Collard keen to make up places from his start at the back of the grid. Collard again made a strong start, as did his team mate Foster, with fellow Hampshireman Welch in the mix at the bottom of the top 10. Places swopped around over the race and at the flag Welch finished in 10th, Foster 11th and Collard 12th. Dan Welch and the team summed up the weekend with the fact that Welch had brought home the Proton GEN2 to three solid results with all the wheels pointing in the right direction and no accident damage to repair for the final meeting at Brands Hatch in 2 weeks time.